Mahindra owned Jawa is set to start deliveries of its motorcycles by March 2019. Those who booked the bike immediately after its launch are hoping to receive the delivery as soon as possible. 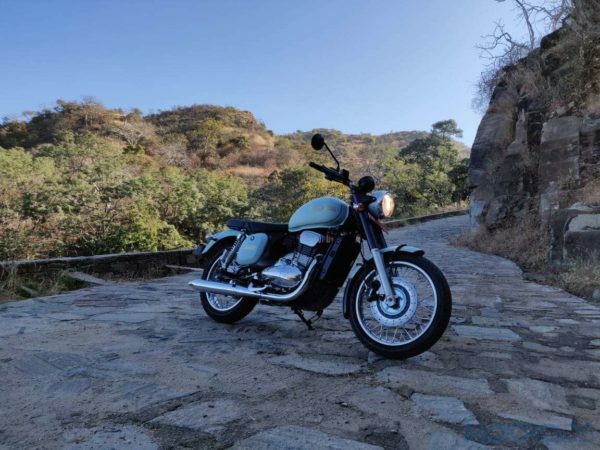 Whereas the buyers, whose deliveries are lined up in April will be called on 31st March 2019, and Jawa will start delivering the ABS variants by the start of June 2019. While in the meantime, Jawa is working on a fundraiser in which customers can bid for specially created Jawa motorcycles, which might be called The Jawa Signature Edition. The Auction proceeds will be used to provide education for the children of martyrs. The auction will be held on the 29th of March at 7:30 pm in Mumbai, as the bidders, will get to pick a chassis number of their choice between 1 to 100. The signature edition Jawa motorcycles will get an exclusive tri-colour design on the tank, and a custom-designed fuel tank cap with the owner’s name on it. Jawa has not yet revealed which of their motorcycles will be sold under the signature edition. Since Jawa has only launched 2 motorcycles recently, it will most likely be the Jawa or the Jawa 42 that may get a special edition badge. Jawa has also promised that the owners of these special edition motorcycles will have access to all exclusive brand events and promotions along with offers on Jawa merchandise. The purchase also includes a celebratory coffee table book called the ‘The Forever Bike’ which speaks about the brand’s legacy. The owners will be offered a ‘Service Package’ which has a validity of 42 months from the date of delivery. People who might not be able to attend the fundraiser can also sit at home and participate online. Signing up for the online bidding process requires a few personal details, and selection of User ID and Password is mandatory. A preferred choice of chassis number is required, as for the selection, bidders will have to specify the bid amount they are willing to pay. After the mandatory process of sign-up is complete, the most desired numbers will be put up for auction. Online participants will also have to upload their KYC documents as a part of the registration process. After following all these steps you can then go ahead and bid for the signature edition bike. The exact details about the Jawa special signature edition bike event haven’t been released yet, but we will keep you updated about the auction event, stay tuned.